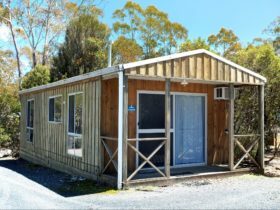 Peppers Cradle Mountain Lodge provides the closest accommodation to the spectacular Cradle Mountain-Lake St Clair National Park. 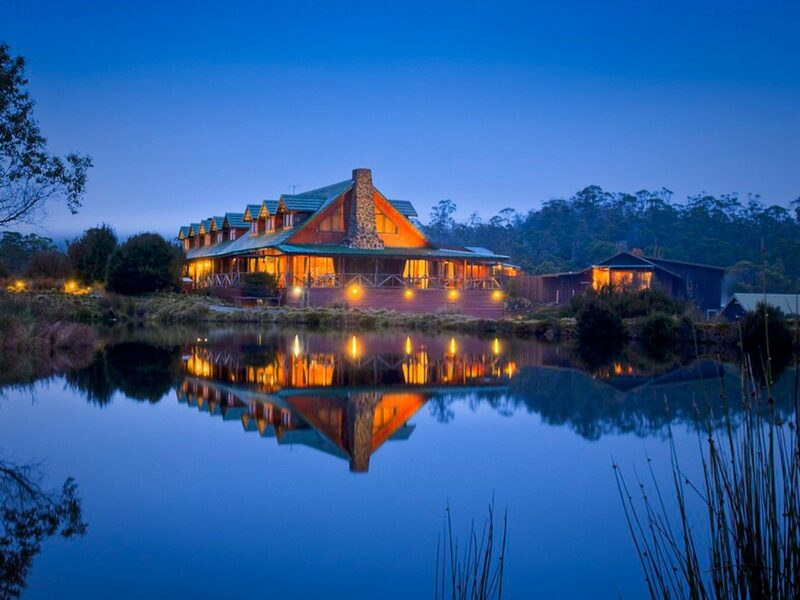 Set in the wilderness are 86 private timber cabins, from contemporary Pencil Pine Cabins through to luxurious King Billy Suites. Each provides the modern comforts you would expect and some are appointed with spa baths. The King Billy Suites and Spa Suites have king-sized beds and can accommodate up to three guests utilising an additional roll away bed. 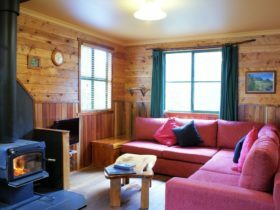 There are also family cabins, some with spas and one with disability access, sleeping up to five people that can be booked directly at the Lodge. 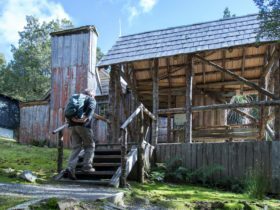 Around Peppers Cradle Mountain Lodge there are more than 20 walking trails. Imagine wandering through towering forests with trees older than mankind. Indulge in a therapeutic massage or sauna, guests can visit the award-winning Waldheim Alpine Spa. Representing the ultimate in accommodation, King Billy Suites are expansive featuring separate sleeping and living areas including king size bed and oversized bathroom with two person spa. The interior highlights a contemporary design scheme with premium appointments. Outdoors, a large deck area includes a private hot-tub. Port and evening canapés are also provided to be enjoyed fireside each evening. Contemporary Spa Cabins are located in natural bush setting and are private and peaceful. Verandas offer views through the treetops or directly into the surrounding Myrtle forest. Inside, Spa Cabins are comfortable and well appointed. Large sofa chairs sit before a gas log fire and a spacious bathroom, which includes spa bath and separate shower, are some of the features. Spa Cabins also offer additional amenities including in-room CD Player and coffee and tea making facilities with a range of quality teas, plunger coffee and hot chocolate. Spa Cabins are also available in a Family Cabin style with two separate bedrooms. 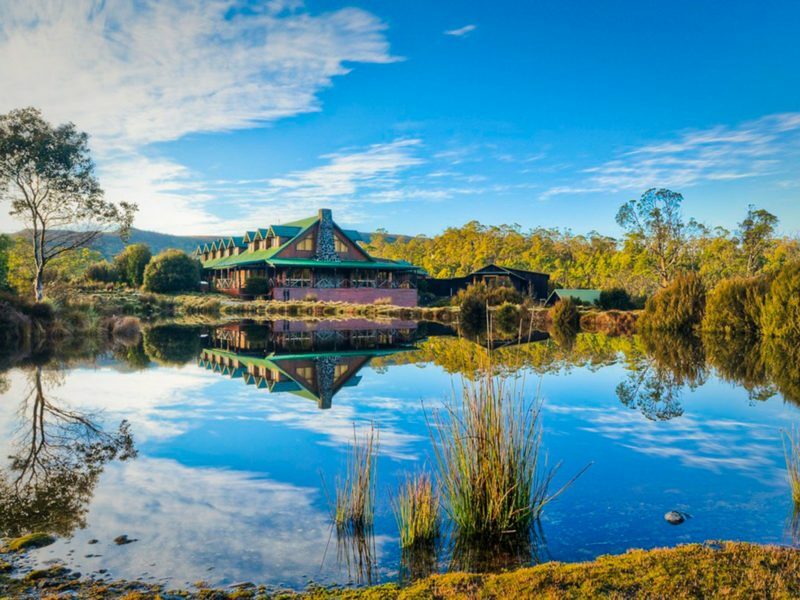 With close proximity to the Lodge, Pencil Pine Cabins offer commanding Lodge Lake and bushland views. Available in both regular and Family Cabin, Pencil Pine Cabins are simple in style but comfortable with queen sized bed and Tasmanian wood furnishings. Traditional Spa Cabins are located in natural bush setting and are private and peaceful. Verandas offer views through the treetops or directly into the surrounding Myrtle forest. Inside, Spa Cabins are comfortable and well appointed. Large sofa chairs sit before a log fire and a spacious bathroom, which includes spa bath and separate shower, are some of the features. Spa Cabins also offer additional amenities including in-room CD Player and coffee and tea making facilities with a range of quality teas, plunger coffee and hot chocolate. Spa Cabins are also available in a Family Cabin style with two separate bedrooms. Spa Suites are designed for those looking to enjoy extra indulgence as guests are treated to complimentary fire-side port and canapés. 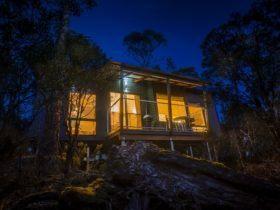 These spacious cabins are styled with hand-made Tasmanian wood furnishings and some of the features include log fires, a king-sized bed, sofa, mini-bar, signature Cradle Mountain cookies and a deep spa. Each Spa Suite has a large private veranda complete with outdoor furniture, and with the views directed towards the surrounding wilderness, wildlife spotting in comfort is all a part of Cradle’s natural charm. All additional pp and inclusive of a roll away if required & full Lodge breakfast. Children 0-3 years are FOC. Cots are FOC.